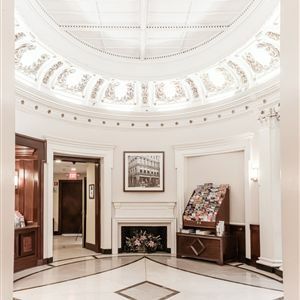 Property Location With a stay at Boston Hotel Buckminster, you'll be centrally located in Boston, minutes from House of Blues Boston and Fenway Park. 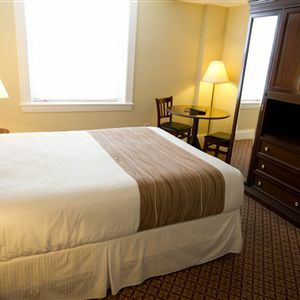 This hotel is close to Boston University and Hynes Convention Center. Rooms Make yourself at home in one of the 132 individually decorated guestrooms, featuring refrigerators and microwaves. Your room comes with a Select Comfort bed. Complimentary wireless Internet access keeps you connected, and cable programming is available for your entertainment. Private bathrooms with shower/tub combinations feature complimentary toiletries and hair dryers. Amenities Take advantage of recreation opportunities such as a 24-hour fitness center, or other amenities including complimentary wireless Internet access and concierge services. This Victorian hotel also features ski storage, a television in a common area, and discounted use of a nearby fitness facility. Dining Enjoy a satisfying meal at a restaurant serving guests of Boston Hotel Buckminster. Cooked-to-order breakfasts are available daily from 7 AM to 11 AM for a fee. Business, Other Amenities Featured amenities include a 24-hour business center, a 24-hour front desk, and multilingual staff. Planning an event in Boston? This hotel has facilities measuring 2497 square feet (232 square meters), including conference space. Self parking (subject to charges) is available onsite. With a stay at Boston Hotel Buckminster, you'll be centrally located in Boston, minutes from House of Blues Boston and Fenway Park. This hotel is close to Boston University and Hynes Convention Center. Make yourself at home in one of the 132 individually decorated guestrooms, featuring refrigerators and microwaves. Your room comes with a Select Comfort bed. Complimentary wireless Internet access keeps you connected, and cable programming is available for your entertainment. Private bathrooms with shower/tub combinations feature complimentary toiletries and hair dryers. Take advantage of recreation opportunities such as a 24-hour fitness center, or other amenities including complimentary wireless Internet access and concierge services. This Victorian hotel also features ski storage, a television in a common area, and discounted use of a nearby fitness facility. Enjoy a satisfying meal at a restaurant serving guests of Boston Hotel Buckminster. Cooked-to-order breakfasts are available daily from 7 AM to 11 AM for a fee. Featured amenities include a 24-hour business center, a 24-hour front desk, and multilingual staff. Planning an event in Boston? This hotel has facilities measuring 2497 square feet (232 square meters), including conference space. Self parking (subject to charges) is available onsite.